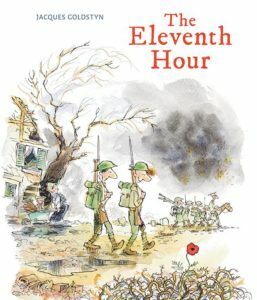 We have put together a reading list for classrooms and libraries of great books about World War I and Remembrance Day. 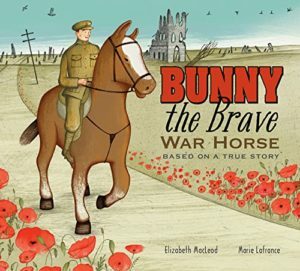 This poignant picture book is based on the true story of a police horse named Bunny and his riders, brothers Bud and Tom Dundas, who were sent to the European front in World War I. This quiet, powerful tale explores many of the hardships soldiers endured, but by focusing on the tender relationship between Bunny and the brothers, the author makes the grim details easier for young readers to absorb. This title is also available in French as Bunny, cheval de guerre. Ali and his fiancée Zeynep dream about leaving Anatolia and building a life together in Canada. 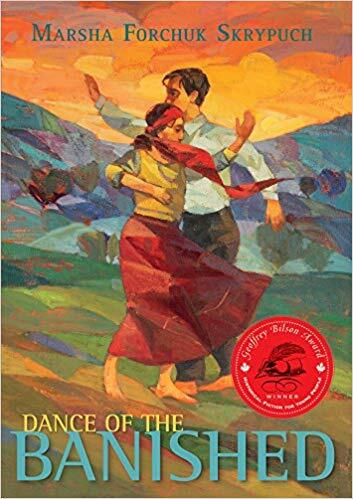 Ali finds passage to Canada, but he must leave Zeynep behind. Then World War I breaks out, and Ali is declared an enemy alien and interned in Kapuskasing. 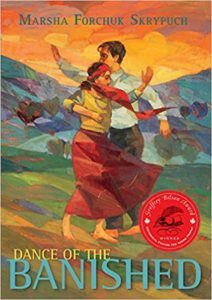 Alone in a country plunged into war, Zeynep is determined to stay alive, cross the ocean and find Ali again. 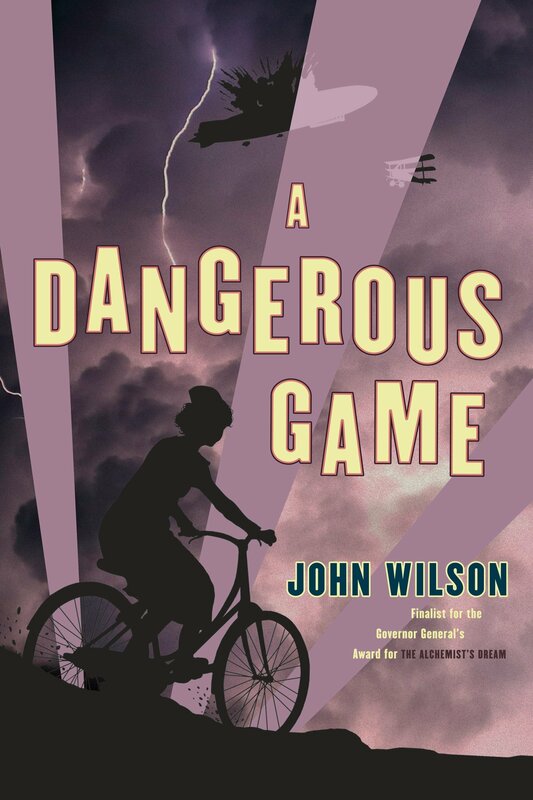 Young Belgian nurse Manon Wouters works at a local hospital but is also a trained spy, gathering information for the British when she uncovers information about a giant bomber that must be stopped at all costs. Manon confronts enemies at every turn, and faces a terrible truth: that innocents are being killed on both sides of the front. A gripping World War I saga with a strong female protagonist. Jim and Jules are childhood friends, born on the same day in the same village. All their lives, Jim has been first — born two minutes before Jules, always faster, always stronger. 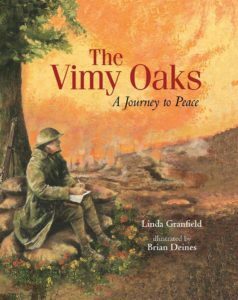 When the First World War breaks out in Europe, the two young men enlist in the fight with 30,000 other Canadians. On the Front, conditions aren’t epic and glorious but muddy and barbaric. Here, too, Jim is the first to attack. Jules is always two minutes behind: lagging in drills, missing the boat, handed chores instead of honours. On November 11, 1918, Jim and Jules are sent out to fight one last time. Jim, always first over the top of the trench, is shot and dies at 10:58am, two minutes before the Armistice takes effect at 11:00am. 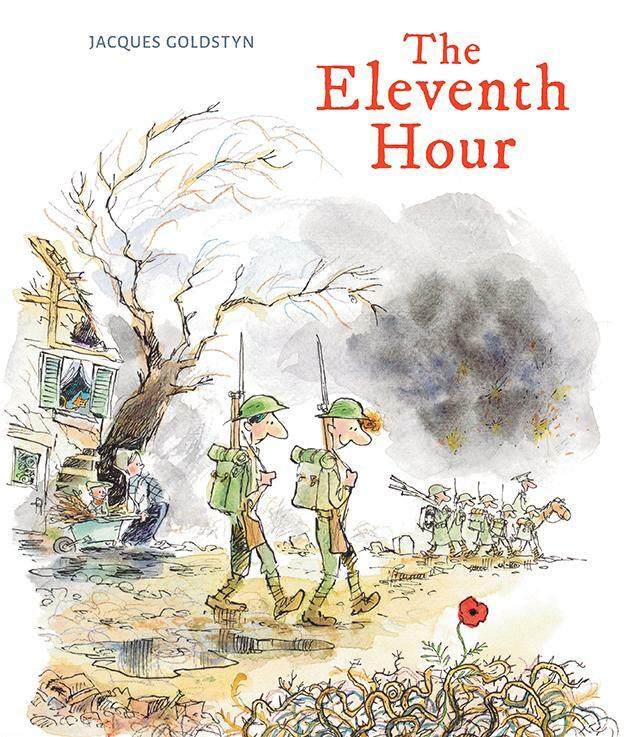 Illustrated by political cartoonist and Letters to a Prisoner author Jacques Goldstyn and inspired by true events, this picture book is a simple, poignant, thought-provoking story to commemorate the hundredth anniversary of the Armistice in 2018. In 1914, on his way to tend horses during World War I, Captain Harry Colebourn rescued a bear cub in White River, Ontario. Naming the bear Winnie, after his hometown of Winnipeg, he took the cub to war. 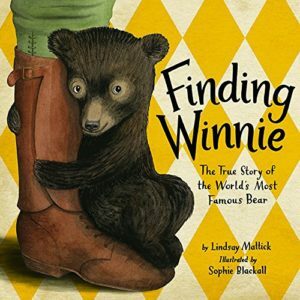 Lindsay Mattick, Harry’s real-life great-granddaughter, recounts their journey to an army base in England — and finally to the London Zoo, where Winnie met a boy named Christopher Robin. 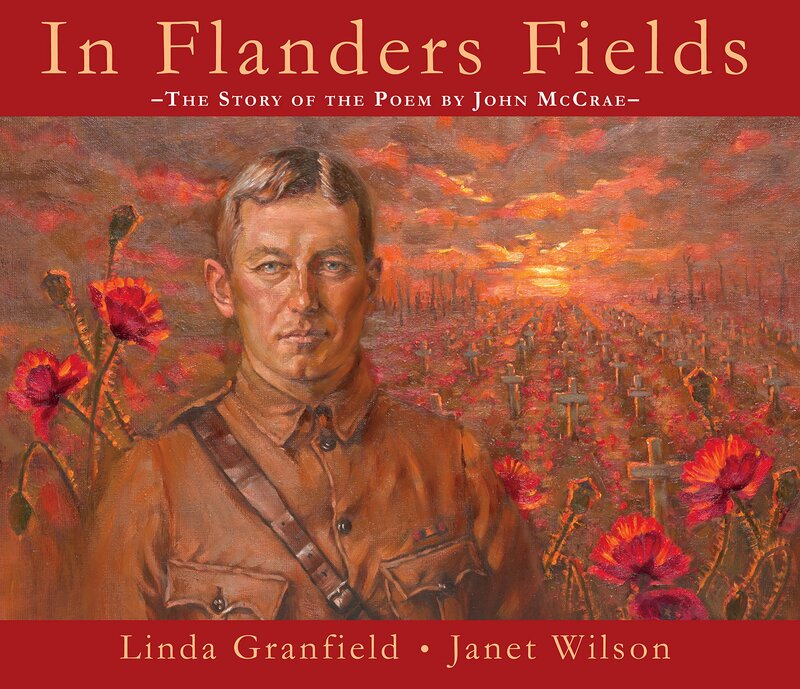 This special-edition book celebrates the 100-year anniversary of the poem “In Flanders Fields.” John McCrae’s poem has been recited by many generations who have embraced and continue to cherish its message of respect for the fallen, longing for peace, and its call to action. 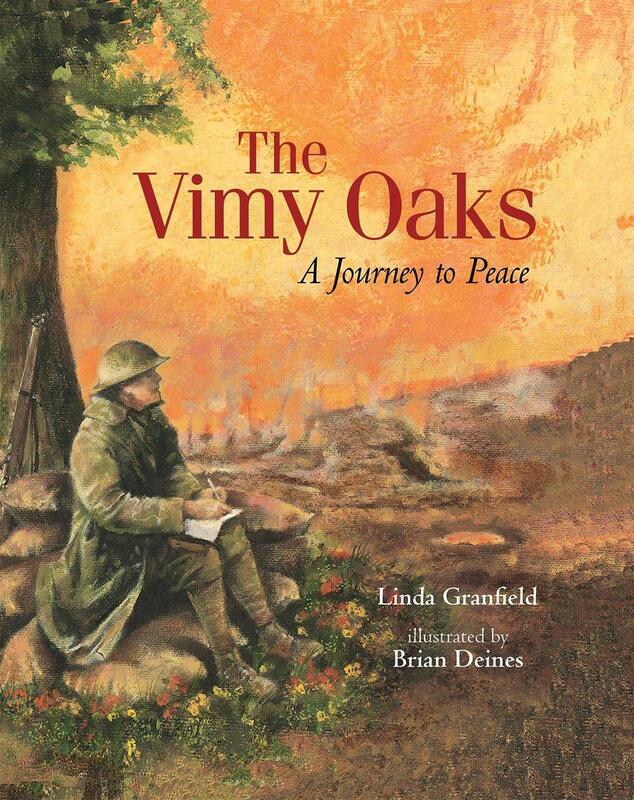 Includes an introduction by historian Dr. Tim Cook of the Canadian War Museum. 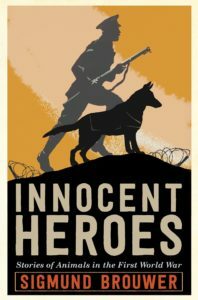 Based on true stories of real animal war heroes, Sigmund Brouwer skilfully weaves fact and fiction together in this unique exploration of Canadian soldiers and their courageous and loyal animal companions at the battle of Vimy Ridge. 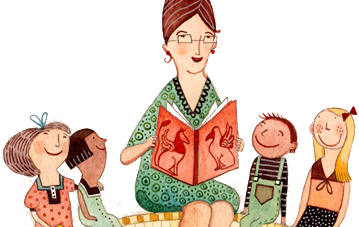 Animals include a sniffer dog, a war horse, a cat and a pigeon! Eight compelling stories of bravery and the bonds between soldiers and their animals. Standing amidst the devastation of Vimy Ridge, Canadian soldier Leslie Miller picked up some acorns and mailed them home where they grew into majestic oaks — a legacy of hope, renewal and remembrance. But what if Vimy Ridge could be green again with oaks descended from Leslie’s trees? This title is also available in French as Les chênes de Vimy : La route vers la paix. 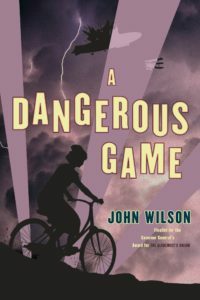 In a triumphant blending of deeply researched history and magnificent imagination, we follow our irrepressible Bear on her journey — from her infancy in the woods of Ontario, to her unlikely friendship with Captain Harry Colebourn and her time as the mascot of the Second Canadian Infantry Brigade, to her experiences in wartime London before she met Christopher Robin Milne. 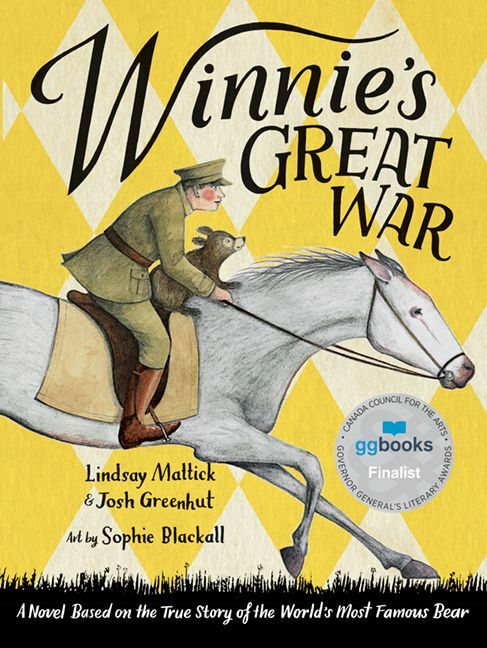 Told in beautifully crafted language and infused with Sophie Blackall’s irresistible renderings of an endearing bear, the book is also woven through with actual entries from Captain Harry Colebourn’s wartime diaries. 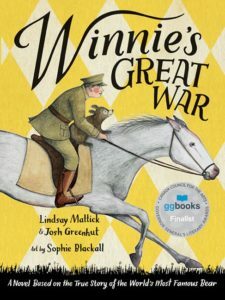 The result is a one-of-kind exploration of the realities of war, the meaning of courage, and the indelible power of friendship, all told through the historic adventures of one extraordinary bear.